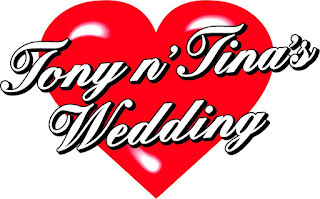 BRIGHTON, Mich. Feb. 23, 2012 – Come one, come all for Tony and Tina’s Wedding Performance this Saturday, February 25th at 6:30 PM at the Johnson Center on the Livingston County campus of Cleary University. The Brighton Rotary Club proudly presents the Detroit Actors Guild performance of the off-Broadway hit Tony and Tina’s Wedding. Tony and Tina’s Wedding has been considered one of the best examples interactive theater since is debut 24 years ago in New York. This fun, exciting, and hysterical interactive experience features the Nunzio and Vitale family members, who are played by professional actors, and brings every patron attending into the action. The entertainment starts at the moment you enter the Johnson Center as the actors and Rotarians meet and greet the audience members. Your attention is then directed towards the raffle auction items that are available for you to win. Tony and Tina’s Wedding Performance is another great way to support the Gleaners Community Food Bank as guests are encouraged to being in food donations in place of wedding gifts. Once the ballroom doors open, guests are invited in and can choose their table on either the bride or groom’s side. The wedding ceremony will commence shortly after guests finish getting seated. Guests are treated to a delicious Italian Buffet, which features three entrées and a complimentary champagne toast (for guests of the legal drinking age) to toast the lucky newly weds. No wedding would be complete without cake and thanks to The Wedding Cake Art & Design Center owned by Kory & Christa Rollison of Brighton, guests will be able enjoy a delicious desert of wedding cake and cupcakes. Everyone at T&T's reception is having a blast! The wedding performance doesn’t stop there. After dinner is when the party really gets going. Donny Dulce and Fusion, a five-piece band of professional musicians, are set to get everyone on the dance floor with wedding favorites like, “The Chicken Dance,” ”The Macarena,” “Shout,” “Living La Vida Loca,” and many more. Come out this Saturday for a fun-filled and hilarious evening that you will never forget. Prime tickets are still available! 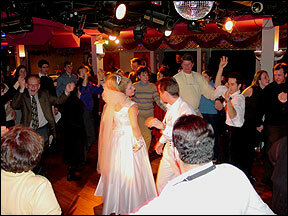 For more information about Tony and Tina’s Wedding Performance or to purchase tickets visit www.BrightonRotaryEvents.com. Tickets can also be purchased by calling 810-552-7989 or by visiting Cooper and Binkley Jewelers at 105. W. Main Street in Brighton. Don’t miss out on this wonderful event get your tickets now!